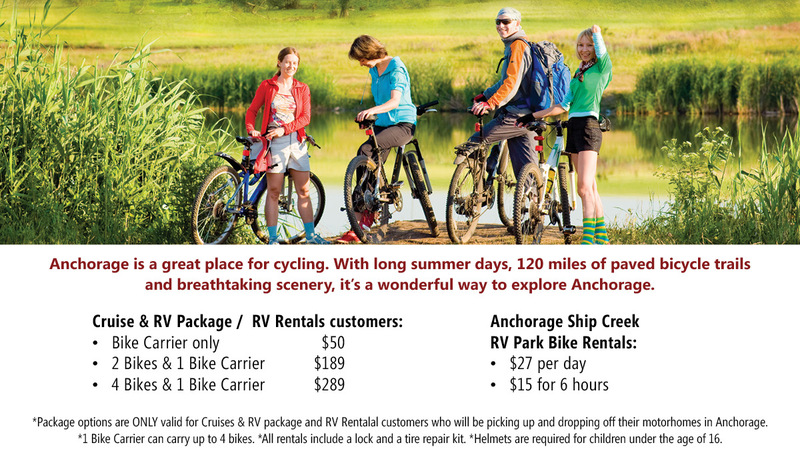 Anchorage Ship Creek RV Park puts a variety of activities and amusements at your doorstep. 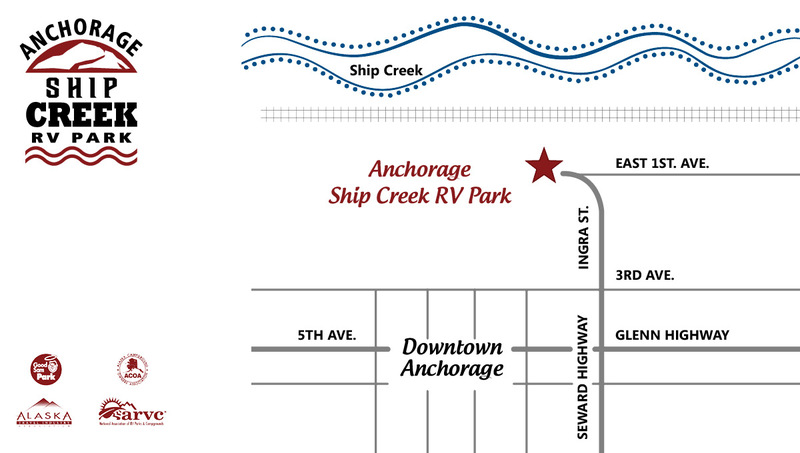 Located just a few blocks from downtown Anchorage, it offers easy access to Alaska’s largest city. In addition to being near Alaska’s top attractions, of our park offers a host of conveniences and amenities. You can be assured of clean restrooms and showers, friendly and courteous staff, water and electric hook-ups, laundromat, a local tour reservation center, and more. We also offer Bike and Bike & Carrier Rental Packages. Anchorage is a great place for cycling. With long summer days, 120 miles of paved bicycle trails and breathtaking scenery, it’s a wonderful way to explore Anchorage. Cancellation Policy: 2 or more days prior to arrival: Full Refund. 1 day prior to arrival: 50% Refund. Day of arrival: No Refund. Rates do not include applicable sales tax.